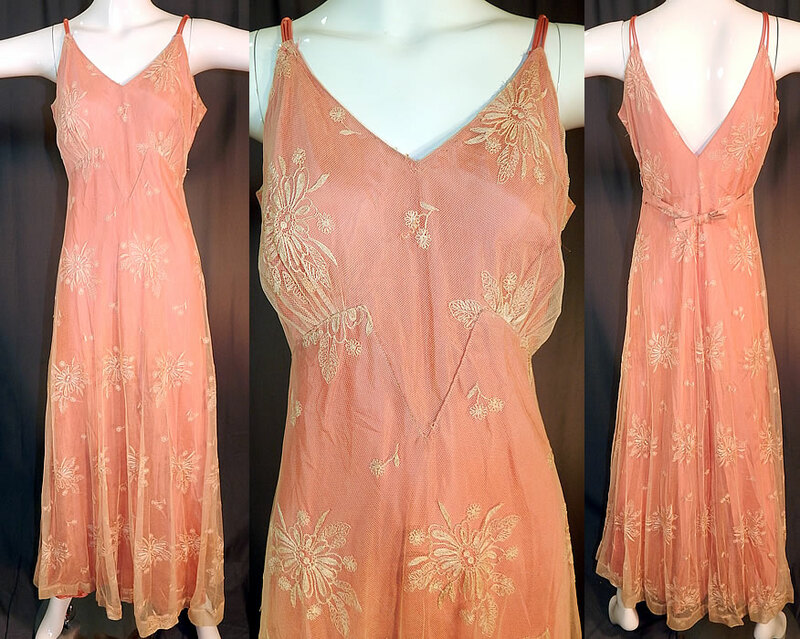 This vintage cream tambour embroidery net lace pink nylon slip dress bias cut gown dates from the 1940s. 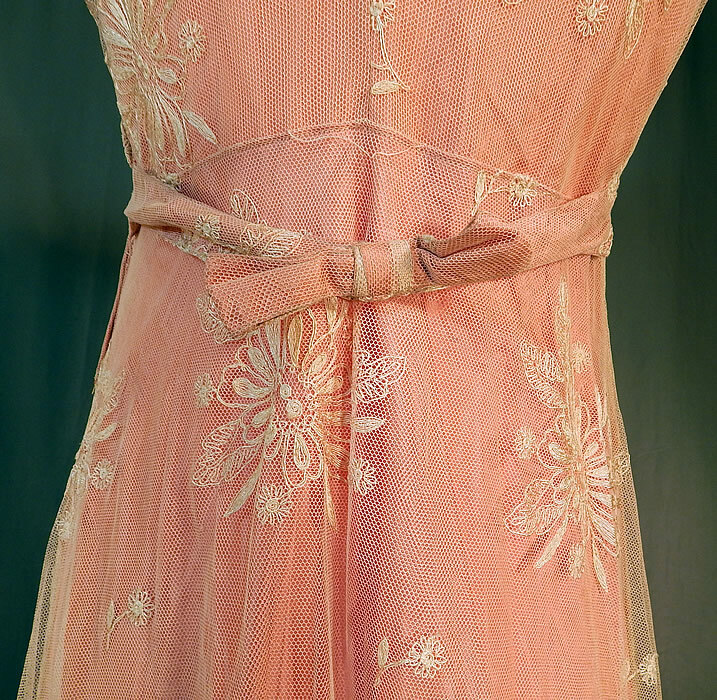 It is made of an off white cream color sheer tulle net fabric overlay with tambour embroidery work flowers and a dusty rose pink color nylon slip lining backing sewn inside. This beautiful bias cut floor length long gown has triple spaghetti straps, plunging V necklines, a belted bow back sash, full skirt with crinoline stiffened hemline, side zipper closure and is fully lined. The dress measures 58 inches long, with 42 inch hips, a 28 inch waist and 36 inch bust. 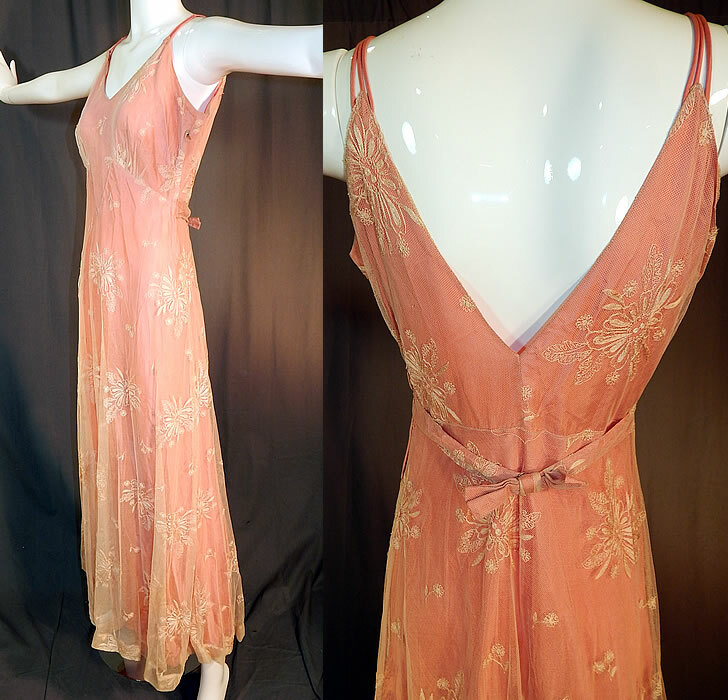 It is in good condition, with only a few tiny frayed pulls in the net fabric top. This is truly a wonderful piece of wearable lace art!